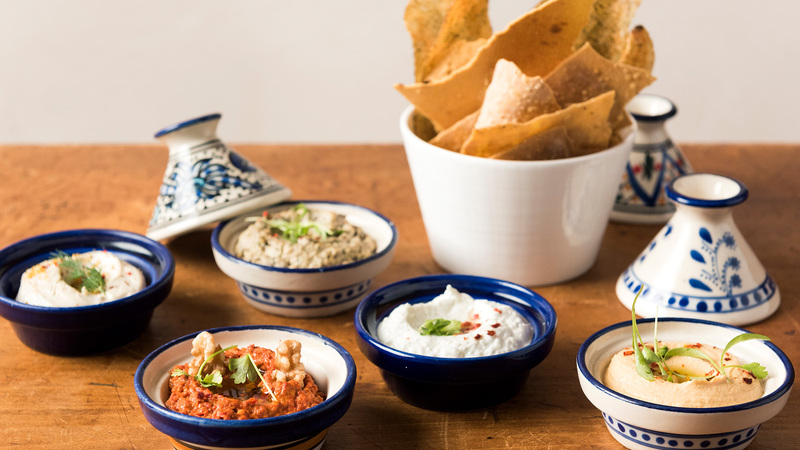 Drawing inspiration from the coastal Mediterranean, including France’s Côte d’Azur, Spain, Italy, Greece, Morocco, Tunisia, Lebanon, Israel, and Turkey the menu emphasizes regional flavors, featuring an abundance of fresh vegetables, seafood, grains and herbs. The restaurant has been completely renovated in jewel tones and soft fabrics to create a relaxing and casual atmosphere. Our bar/lounge serves food continuously from noon and features a happy hour from 5 to 8pm (excluding weekends). 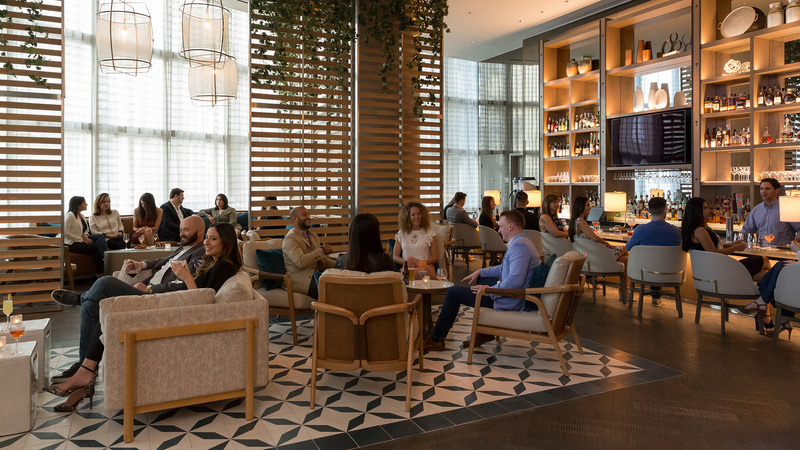 Situated in the JW Marriott Marquis and across the street from the newly opened Silverstar Theatres, Boulud Sud is conveniently located within walking distance of American Airlines Arena, the Perez Art Museum, City Center shopping, and all that Downtown Miami has to offer. Food served continuously from open to close. 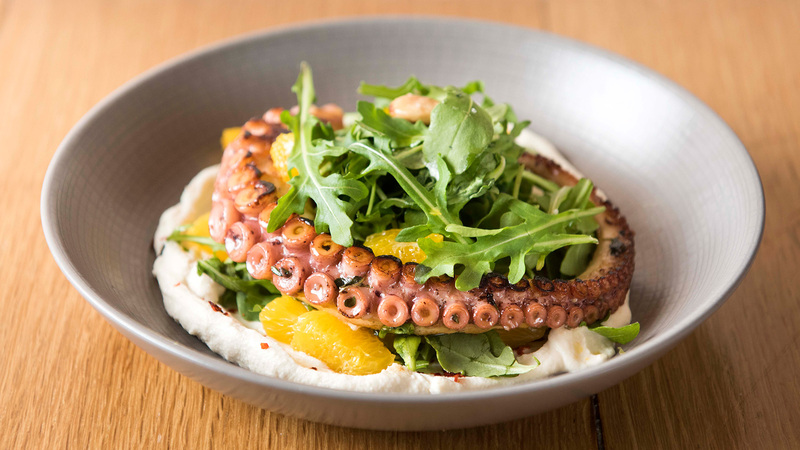 As the General Manager of Boulud Sud Miami, David Posner joined the restaurant in January 2019 and oversees all aspects of the guest experience for Chef Daniel Boulud’s Mediterranean outpost. Born and raised in Venezuela, Posner was inspired by his upbringing, where food was a fixture in his household. He moved to New York after high school, where he attended the Culinary Institute of America. While studying, he landed a highly coveted internship at Daniel Boulud’s famed Restaurant DANIEL, not knowing that he would eventually return to the Dinex family years later. Following Venezuelan mentor and chef Edgar Leal to Miami, Posner excelled at roles within every aspect of the culinary landscape from banquets and catering to executive chef and eventually director of operations at Ara Restaurant Group. When he’s not at the restaurant, he enjoys spending time with his wife of 12 years, his two daughters and their family dog. 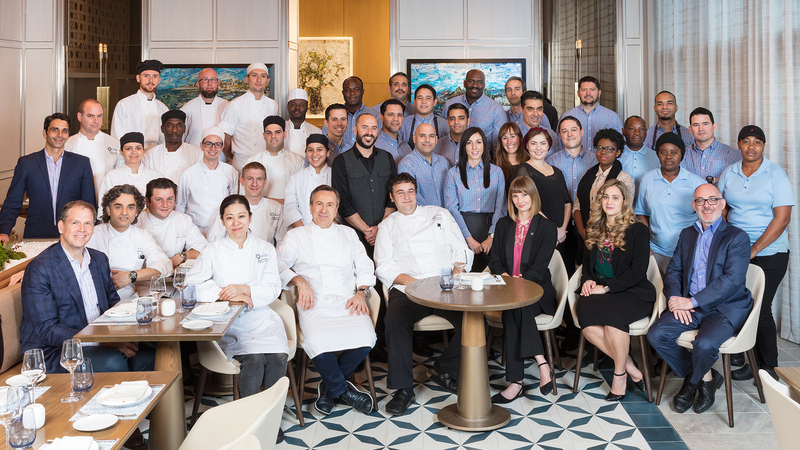 Executive Chef Clark Bowen has served as an integral part of the Daniel Boulud team for many years, having opened the Miami location of db bistro moderne in 2010. 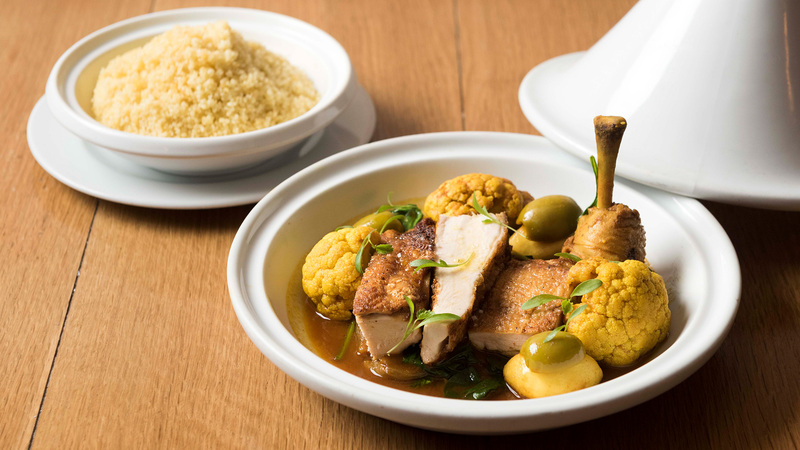 Now continuing his career into Chef Daniel’s Mediterranean vision for Boulud Sud, he has been inspired by the variety of ingredients and techniques available. 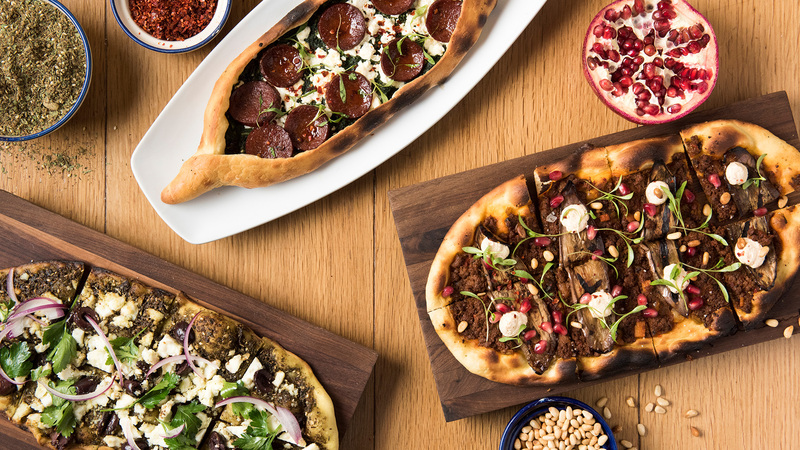 Like the original New York location, he crafted a soulful menu of dishes inspired by the coastal regions of France, Italy, Spain, Turkey, Morocco and beyond. Changing with the seasons and sourcing locally-available ingredients native to Florida, Clark’s menu includes dishes such as Shrimp al Ajillo with Florida shrimp, spinach chili, garlic and focaccia; Seared Mediterranean Branzino with freekah, apricot and artichoke; Arroz Bomba with sepia, chorizo and saffron; and the classic Chicken Tagine with couscous, cauliflower and turnips. “The beauty of Miami is that it is growing season year-round so even in the winter we have access to fresh tomatoes, citrus and herbs. With our diverse menu, we bring the warm, fresh flavors of the Mediterranean to sunny South Florida,” said Chef Clark. Born and raised in Miami, Bowen was inspired to become a chef by his Cuban grandmother who was always cooking in the family kitchen. Prior to joining the company, Bowen worked at several popular restaurants in South Florida, including Pascal’s on Ponce and Max’s Grille. When Chef Clark is not at Boulud Sud, he appreciates spending time with his wife and two young daughters and cooking outdoors for his friends. He volunteers as a Chef Partner with Wellness in the Schools (WITS), teaching healthful cooking demos to children, promoting from-scratch cooking using whole ingredients. He hopes to build the connection between farm and food for children while introducing them to new fruits and vegetables. Saeko Nemoto has more than a decade of experience in the professional pastry world, holding notable positions at established hotels and restaurants in Japan, Canada, Australia and New York. 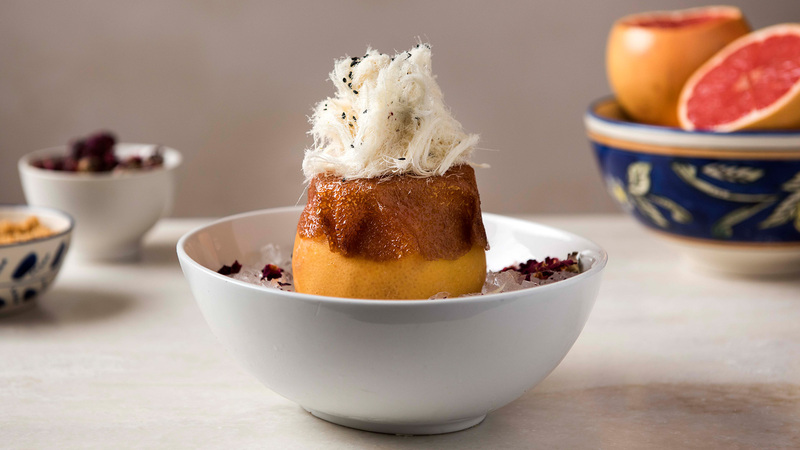 Additionally, she has worked and traveled through the Mediterranean regions of Provence, France and Istanbul, Turkey, which led to the inspiration of her dessert menus at Boulud Sud Miami. Saeko draws on her foundation in traditional French patisserie to explore new variations on classic recipes by incorporating Mediterranean flavors and regional ingredients. Her desserts exemplify the shared cultures of this coastal part of the world, not unlike those here in Miami, by blending techniques and exotic ingredients. Beautifully presented with a balance of flavor, Saeko’s desserts are influenced by the vibrant fruits, spices, chocolates and textures found across the Mediterranean. Changing seasonally, her offerings could include Grapefruit Givre with sesame foam, Turkish cotton candy and grapefruit sorbet or Coffee & Chocolate Cube with black cardamom cremeux, praline feuilletine and baklava ice cream. She also offers a rotating selection of house-made ice creams, or crèmes glacees, such as Fior di Late, pistachio and burnt orange. In Provence, she worked at Patisserie Rorant del Mont-Meilleur Oucrier making Provence-style desserts such as Cassata, which is featured on Boulud Sud’s dessert menu, as well as fresh citrus and fruit sorbets. At Chocolate Butterfly in Istanbul, she melded local ingredients with French techniques, such as Chocolate Bonbons filled with Raki Ganache, Raki being a local anise-flavored liqueur. 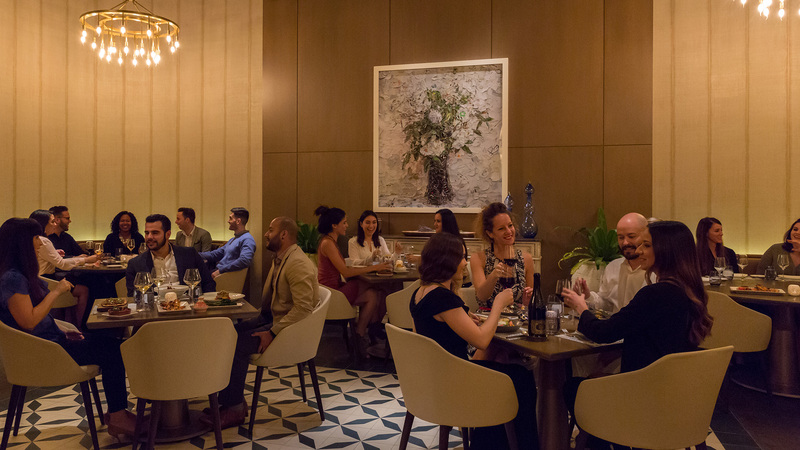 Daniel Chaviano is the Head Sommelier at Chef Daniel Boulud’s Boulud Sud Miami, where he manages the restaurant’s extensive wine cellar with hundreds of bottles and hand selects wines to perfectly pair with guests’ meals. 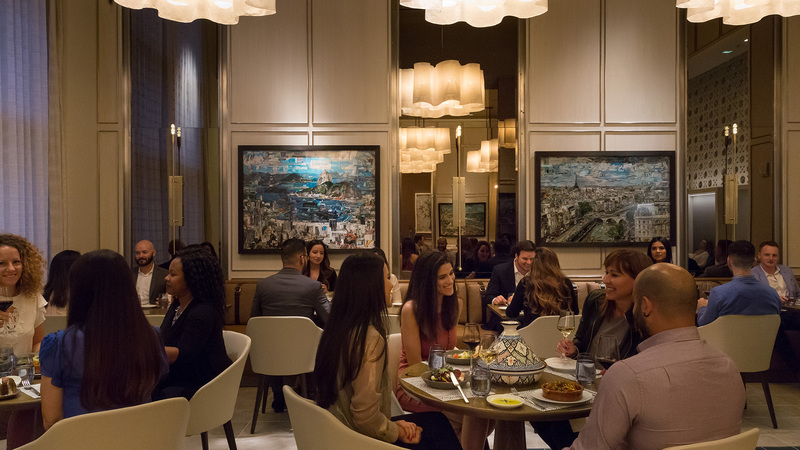 Specifically, at Boulud Sud Miami, Daniel focuses on wine from regions along the Mediterranean coast to complement the menus while also maintaining a variety of French styles as well as domestic and South American offerings. Born in Miami, FL, Daniel originally began his career in the culinary industry as a cook. After years in the kitchen, he discovered that he wanted to combine his two loves – wine and food – to fully curate a unique dining experience for people. As a Certified Sommelier through the Court of Master Sommeliers Program, Daniel is devoted to answering questions regarding the wine list and which meals pair best with the preferred wines, emphasizing his “what grows together, goes together” perspective. His goal as a sommelier is to take guests beyond the dining room and transport them to an exotic destination without having to leave their seats. Prior to joining the Boulud Sud team, Daniel held notable positions at Daniel Boulud’s db Bistro Moderne and The Inn at Little Washington in Washington, VA. In addition, Daniel was a recipient of the Jimmy Mancbach Memorial Scholarship at Hanzell Vineyards in Sonoma, CA. When Daniel is not in the wine cellar, he enjoys spending time with his wife and two children, cooking and brewing his own craft beer.